Zhongneng is the leading oil purifier manufacturer in China, we own different kinds of oil filters to purify different kinds of oil, such as turbine oil,lubricating oil,insulating oil, engine oil and so on.As manufacturer, we promise to provide you the excellent oil filters with best price. 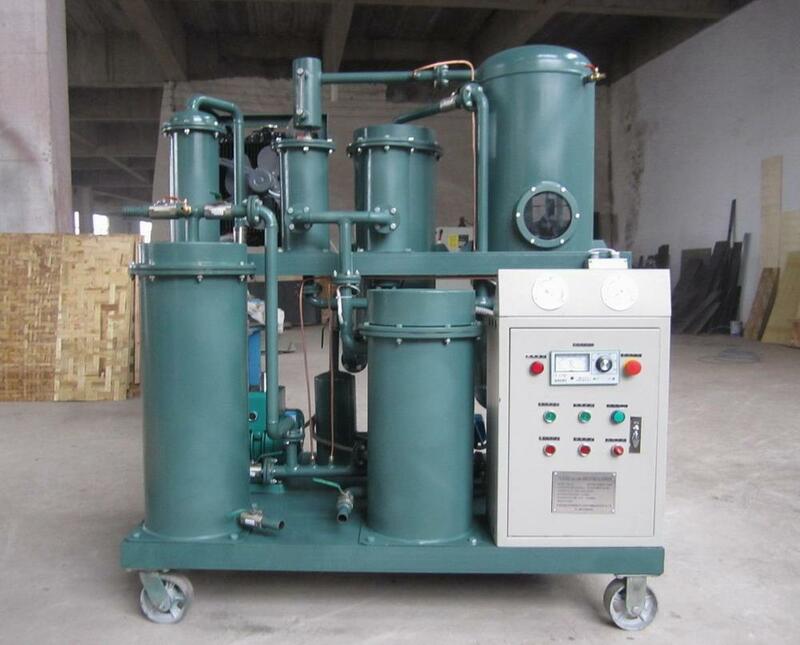 This machine is used to treat unqualified hydraulic lube oil, especially for those contain high value of acid. 5. Regeneration device could effectively remove polar materials, such as acid, free carbon and so on. Hydraulic lubricating oil treated by this machine contains low emulsification value, few water and impurities; It can be used repeatedly in the highly precise hydraulic lubricating equipments at home and abroad. According to fieldwork requirement, this machine equips the car wheels, which can be easy to move to any work point by traction. it is special suitable for purifying the transformer oil which locate in different fields. 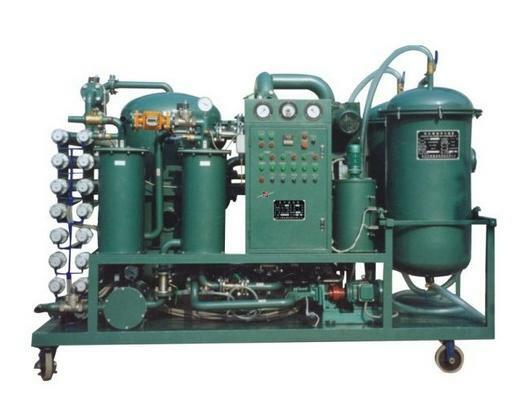 this machine can recover the seriously transformer oil. the treated transformer oil can reuse again in transformer. 3,It can vacuum filling oil to transformer, vacuum dry transformer and online operation transformer . 4， it is mainly used for purifying the insulating oil, transformer oil, mutual oil, switch oil, dielectric oil and so on. the standard zyd-m system is designed for processing oils in workshops, in storage tanks or directly in transformers energized or de-energized transformers. As we know that Lubricating oil is used to avoid the damage of spare parts and smooth functioning of the machinaries. 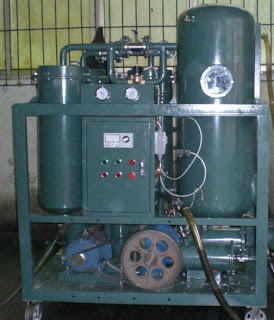 And if the hydraulic oil mxied with water, gas, impurities et, the lubrication system of machine and equipments would be effected.So we need to use a way to remove the impurities in the oil, TYA Lubricating Oil Purifier is the machine to recycle and purify all kinds of the inferior lubricating oil such as the hydraulic oil which with high precission, frozen oil, antiwear hydraulic oil and so on. TYA Series Vacuum Lubricating Oil Purifier can fast degas, dewater, and remove the impurity and the volatile matter (for example ethyl alcohol, gasoline, ammonia and so on). It enhances the oil quality, restores the lubricating oil viscosity, augments the flash point and improves the operational performance. It can guarantee the oil in the hydraulic system, dynamic system and the lubrication system normal operation, so the machine is suit for many lines, such as the mine, metallurgy, electric power, transportation, manufactures and so on. 1. 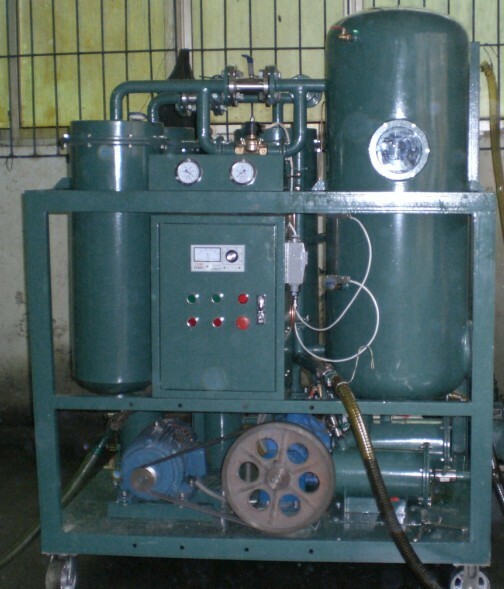 Unique water/gas removal system, which adopts stereo-evaporating technology, multi-oil water separation technology, enabling fast removal of water, and gas in the oil. 2. Optimazed electric heating system withautomatic constant temperature controller ensures that oil temperature to be even and stable. 3. An advanced fully automatic temperature controlling system, liquid-level controlling system, defoaming controlling system, pressure protecting system and excellent configuration can ensure operation of the equipment with high performance. 4. Online work, allowing separated operation of manual operators from machine with lamps indicating the condition for operation. 5. It is humanization desigh with low noise, deep purification and long time free maintenance to save cost from the running process. Series LYE used engine oil regeneration system is particularly used in such industry as mines,metallurgy,electric power,transportation,mechanical manufacture in which lubrication oil like hydraulic oil,engine oil,coolineg oil etc are used.Gas engine oil used in the field of transportation like shipping,land-carriage etc.also can be treated with regeneration by Series LYE machines. The JL small portable oil purifier is used for precision filtration of solid impurities in engine oil, lubricant oil and insulation oil, as well as for long distance and high lift oiling. It is a prior choice of power industry, petroleum, chemical, metallurgy, mechanics and railway for oil filling,oil drawing and high precision impurity removal of mutual inductor, lathe, and oil breaker which do not use large quantity of oil. The JL oil filtering machine is also a perfect substitute of the board-frame oil purifier and the centrifugal oil purifier because of its three-stage precise filtering, it also can be served as precise filtering and oiling. This machine is smaller than other purifiers, so it is portable and easy to operate, what's more, the JL portable oil purifier also has a low price. With it, there is no need of purification paper and no contamination to the ground. Many oil filters may need heat to separate the water from oil, but sometimes the oil may contain additives, so if you heat,the oil may become degradation or deterioration. then for this oil, you need choose the oil filter that don't need heat. Zhongneng is the is a leading oil purifier manufacturer in China, which engages in developing, producing, selling a series of oil purifier such as transformer oil purifier, turbine oil purifier, engine oil purifier, lube oil purifier and so on, and zhongneng has developed a special oil water separator which don't need heat, but it can still remove the water from oil effciently, and this separator is the TYB Diesel Oil, Gasoline Oil and Light Oil Purifier. TYB is one of popular oil filters of Zhongneng, it integrates fine filter, high efficiency demulsification and dehydration into one body, it can remove large of water without heating, creates the fastest dehydration speed in domestic at present. 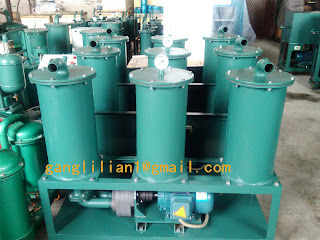 This machine is specaiily designed for the fuel oil,gasoline and light oil, it can quickly separate water from the these oil, which even contains half water, to attain cleanness of NAS 6 grade. 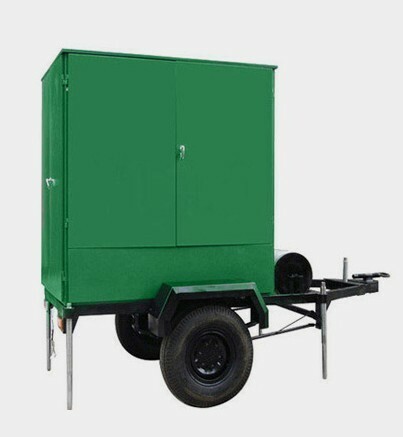 All in all,the TYB is be used for fast removal of water and impurities in fuel oil or light oil which contains large amount of water. 1,Because there is no heating, the additives in the oil are well prevented from degradation or deterioration. 2, This machine need low operation cost,20%-40% lower than vacuum purifier, centrifugal purifier and filter press. 3,TYB oil purifier is also easy to operate,water can be discharged online automatically without the presence of operators. 4,TYB series purifier adopt special oil water separator which requires no heating, offering 20 times higher water removing efficiently than over other types of purifiers. TY Series Vacuum Turbine Oil Purifier is designed for purifying unqualified turbine oil, especially the seriously emulsified turbine oil. This machine can be widely used in power station,metallurgical industry,chemical industry,etc. which need to install and maintain turbines. This machine can effectively remove water,gas,mechanical impurities and demulsify for turbine oil.After purification the oil performace is improved,ensuring the safely running of turbine and save cost. 1. Breaking emulsification thoroughly with high-molecule polymeric material. 3. 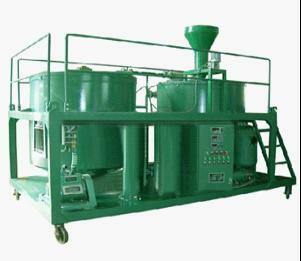 With distinctive removing impurities technique filtering through double FH trapezoidal network and absorbing by high polymer material, this machine can make the ?3 equal or surpass 200 and make the cleanness lower grade 6(NAS1638).